Silver & 18 carat Gold with White Diamonds to a total weight of 1 carat. 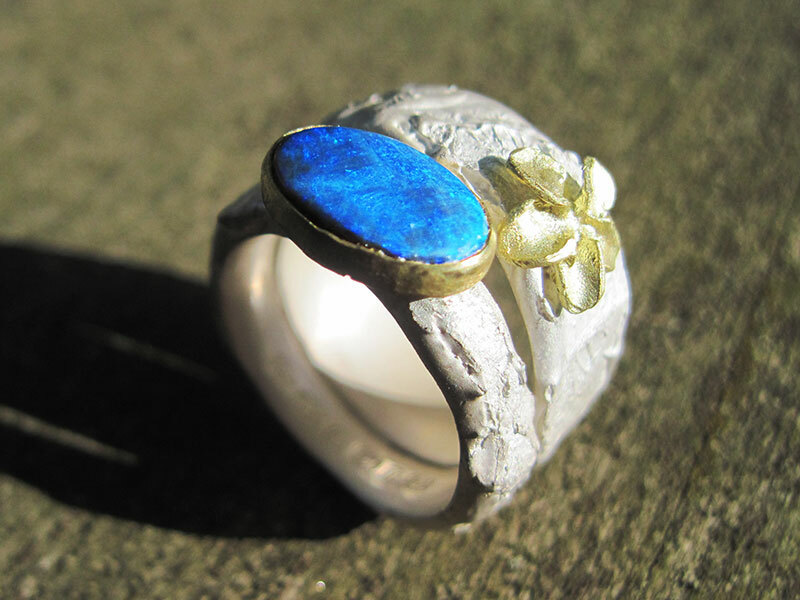 Or, Platinum and Yellow Gold with Opal. 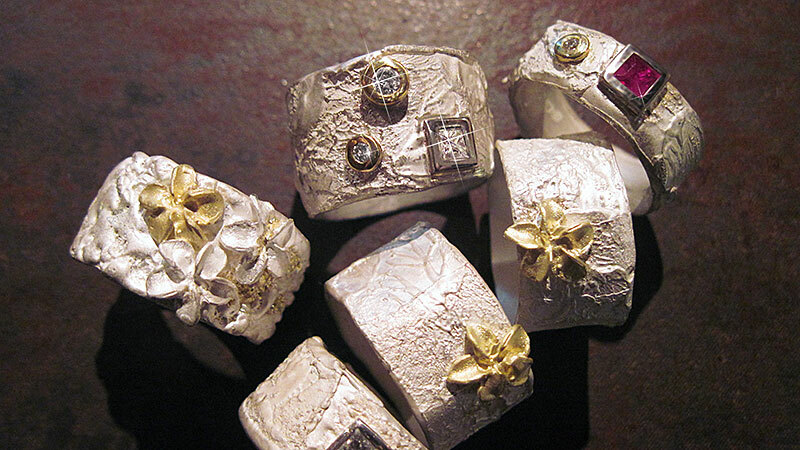 Perfect for a wedding or engagement ring. Other precious metals available on request. Yellow Gold in various designs. * Please refer to our ordering page for information about sizing, bullion and approximate prices.